Where are the majority of knowledge management (KM) research papers produced, and what are the implications of this? This article is part two ongoing series of articles: cultural awareness in KM and KM in international development. In part 2 of our current article series “The case for indigenous knowledge systems and knowledge sovereignty”, Dr. Zeremariam Fre alerts to the “marginalisation of indigenous knowledge and its adherent communities in the global South.” He argues that this hasn’t happened by accident, but rather it’s due to the economic power and neo-liberal approach of the global North, which has transformed the South into feeder economies for the North. 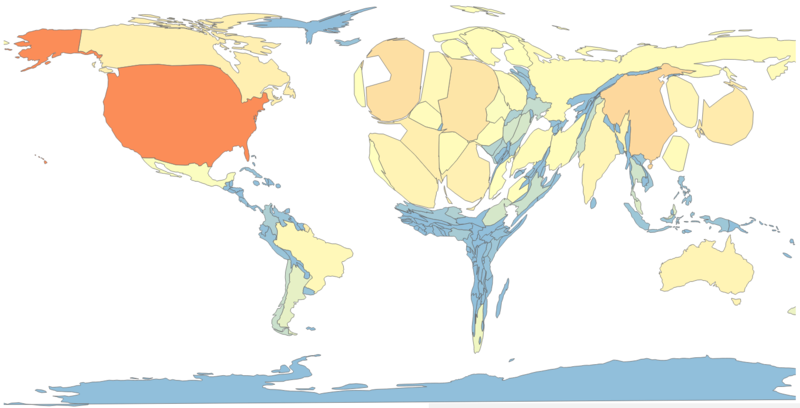 Then, in another new article from the The Conversation, Peace A. Medie and Alice J. Kang report on research showing that academic knowledge from the global South – the red area on the map in Figure 1 – is also seriously marginalised. Figure 1. 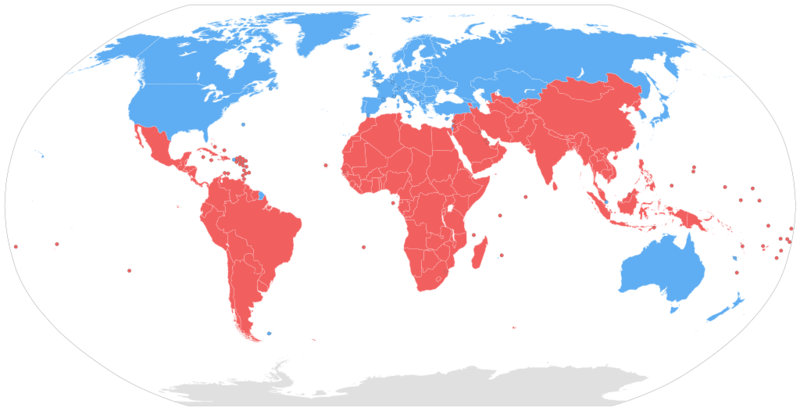 Countries of the global North (coloured blue) and global South (coloured red) (source: Wikimedia Commons). If the world were mapped according to how many scientific research papers each country produced, it would take on a rather bizarre, uneven appearance. The Northern hemisphere would balloon beyond recognition. The global south, including Africa, would effectively melt off the map. This bizarre, uneven map for the year 2011 is shown in Figure 2. Note the bloated size of the United States, the United Kingdom, and Europe compared to South America and in particular Africa. Figure 2. 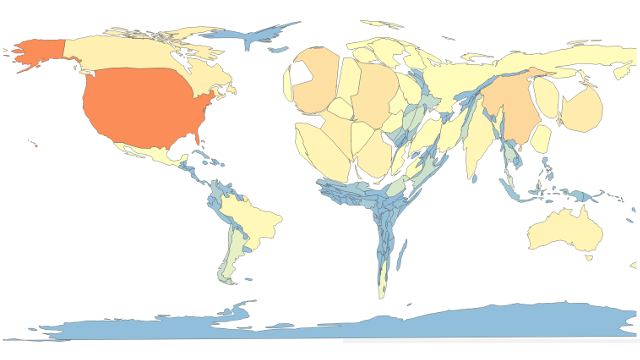 World scaled by number of documents in Web of Science by authors living there, 2011 (source: Juan Pablo Alperin). Fre had alerted to economic factors in the marginalisation of indigenous knowledge in the global South, and similarly economics also plays a role in the marginalisation of academic knowledge from the South. Czerniewicz reports that governments in the global South have limited funds to be able to allocate to research, which forces researchers to spend a considerable amount of their time raising funds. She also draws attention to another critical issue that I’ve previously discussed – that researchers in developing countries are unable to access important reference information because it is locked away behind expensive journal paywalls. The world’s top paywalled journals are published by companies that are headquartered in the global North, for example Nature Publishing Group and Elsevier, reinforcing Fre’s claims in regard to the knowledge marginalisation impacts of the neo-liberalism of the global North. Investigation site issues. High-impact journals do attract the participation of scholars from the global South, but the investigation sites are often located in the global North. Or, if the sites are located in the South, they are novel sites not related to the research context of the scholars. Invisible research. There is a large amount of “invisible” research that is not published in journals, for example working papers and technical reports, or if it is published, it is often not attributed to the real authors. 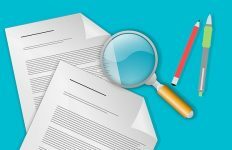 Funding agreement requirements can also prevent researchers from publishing research findings. Technology. Technological constraints in the global South, for example lack of access to high-speed internet, can limit restrict collaboration with scholars in other regions or countries. 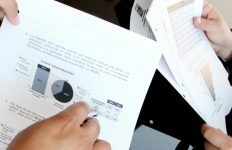 The conclusions drawn by Fre, Medie and Kang, and Czerniewicz are consistent with other research by Henrich et al.1 alerting that broad claims about human psychology and behavior in the world’s top journals are based on samples drawn entirely from Western, Educated, Industrialized, Rich, and Democratic (WEIRD) societies. What about knowledge management research? A new paper from Wang et al.2 shows that the global knowledge imbalances identified by Fre, Medie and Kang, Czerniewicz, and Henrich et al. are also found in knowledge management (KM) research, as shown in Figure 3. Figure 3. Geographic distribution of KM research articles (source: Wang et al. 2018). Echoing the bloating in Figure 2 above, two-thirds of the mapped KM research papers in Figure 3 were produced in the United States, the United Kingdom, and Europe. If the other major global North WEIRD societies of Canada and Australia are added, the proportion rises to three-quarters. By stark comparison, there are very few KM research papers from much of Africa, South America, Central America, the Middle East, Central Asia, South-East Asia, and Russia. The only other country to have produced a large number of KM research papers is China, but it should be noted that more than half of the papers produced in China came from just the two small regions of Taiwan and Hong Kong. What are the implications of this very uneven knowledge map? What are the implications of three-quarters of KM research papers being produced in the global North WEIRD societies of the United States, the United Kingdom, Europe, Canada, and Australia, while comparatively very few are produced in much of the rest of the world? As I’ve previously cautioned, it means that what many would regard as globally universal KM practices and approaches, can’t actually be considered as such on the basis of the available evidence. Further, not having researchers from the global South take the lead role in researching issues related to the global South increases the risk of incorrect conclusions being drawn. I’ve already documented cases in which this was potentially a factor, from the awareness I’ve gained from living in China. One example was a paper discussing the impacts of China’s one-child policy, and another example was a paper discussing knowledge flows in management structures. How do we fix this situation? As an immediate priority, it’s seriously inappropriate for knowledge managers from the global North to assume that the KM practices and approaches they are familiar are readily transferable to the global South. Useful information in this regard can be found in a previous article, where I relay advice on how to successfully transfer KM practices to different cultures. International research organisations should provide funding to scholars in the global South. Knowledge managers themselves also have a significant role to play. 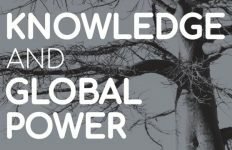 The Knowledge Management Global Network (KMGN) can foster initiatives to assist KM scholars in the global South with research and publishing, as can communities such as Knowledge Management for Development (KM4Dev) and the Knowledge for Development Partnership (K4DP). And, when it is established, balancing the global KM research map needs to be a key priority for the new International Knowledge Professionals Society. Article sources: The case for indigenous knowledge systems and knowledge sovereignty and Visualizing the Academic Discipline of Knowledge Management are licensed under CC BY 4.0. Header image source: Juan Pablo Alperin.